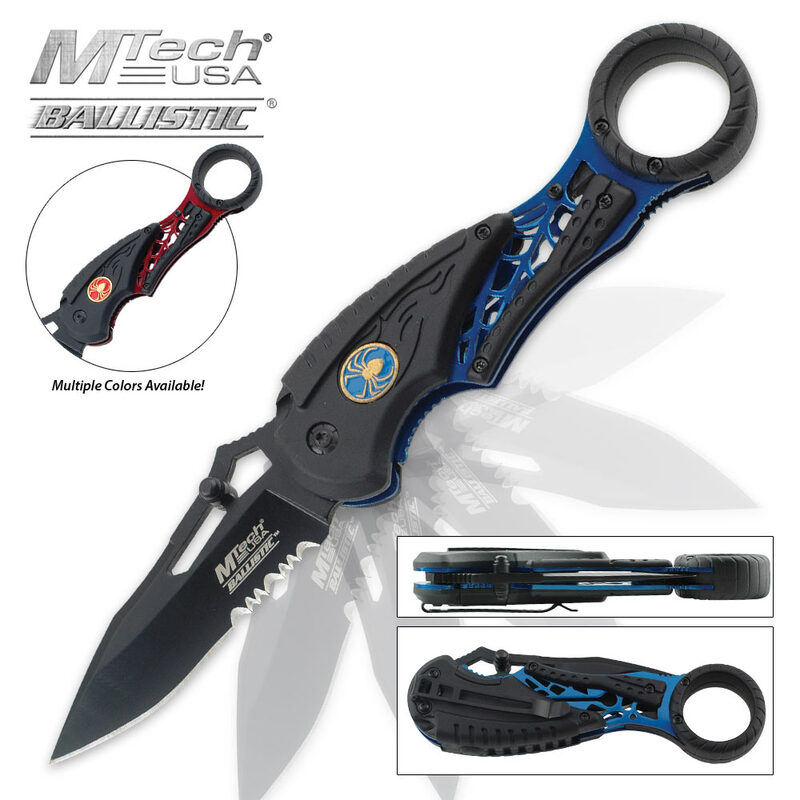 MTech USA Black And Blue Handle With LED Light | BUDK.com - Knives & Swords At The Lowest Prices! MTech USA is constantly putting out great utility knives that are absolutely useful a variety of different things. This one is great because the handle includes an LED light. Now, this isn’t just a handy spring assisted opening pocket knife but it is handsome looking, as well. 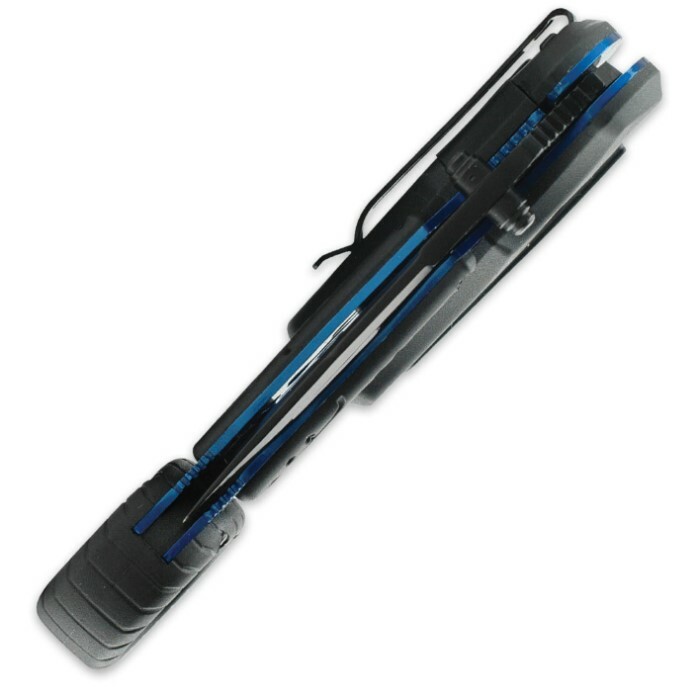 It features a medallion accent on the handle and a liner in your choice of blue or red. 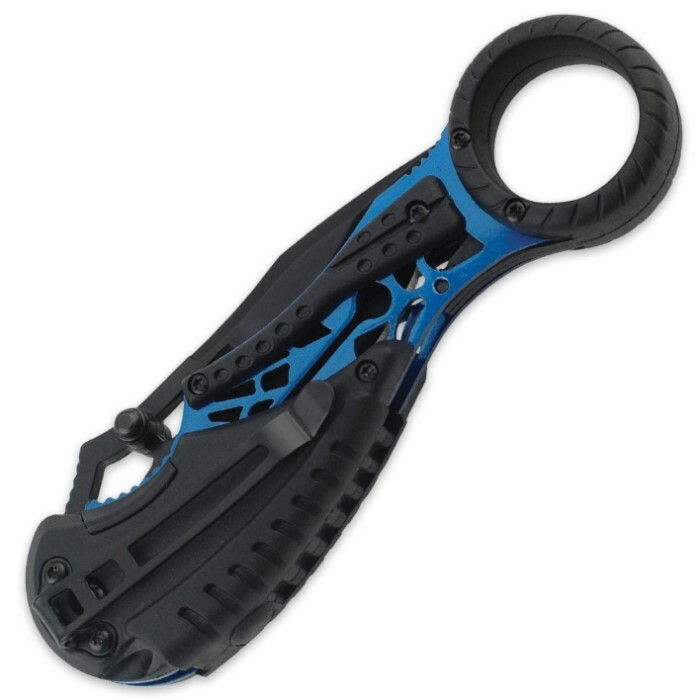 It has a black stainless steel half-serrated blade and a durable nylon fiber handle. It also comes with a pocket carry for ease of carry.